With all the different power and trim options on the 2015 Dodge Dart, there is certain to be a Dart model that's perfect for you. Kaneohe, Wahiawa, and Hawaii Kai, HI residents should come to Cutter Chrysler Dodge Jeep Ram in Honolulu and our expert sales team will get you acquainted with one. 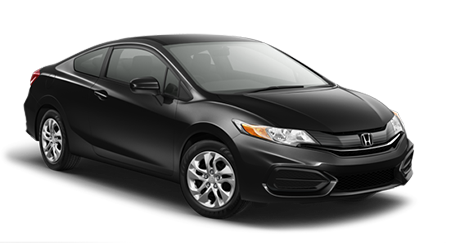 The 2015 Honda Civic is a solid choice for a compact economy sedan, but, compared with the Dodge Dart, there is nothing unique or special about it. The 2015 Dodge Dart offers three engine options spread over five models, and every one of them outperforms the Honda Civic. The Civic's only engine (excluding manual-only SI models) is a 1.8-liter four-cylinder with just 143hp. The Dodge Dart's base engine is a 2.0-liter four-cylinder with 160hp. Dodge also offers a 2.4-liter I4 option as well as a 1.4-liter turbo I4 tuned for higher mileage in the Dart Aero. Both cars feature a manual transmission as standard, with the Dart getting six-speeds and the Civic only five, but most people prefer an automatic for the ease and convenience it provides. The Dodge Dart's automatic is a conventional six-speed with a torque converter, while the Civic uses a continuously variable transmission (CVT). While the CVT in the Civic is very efficient, many people have found it to produce an irritating drone and perform rather sluggishly. The Dart's six-speed has no droning issues, it shifts in the traditional fashion, and has a relaxed yet reactive cruising style. When you compare similarly-equipped base models, the Dodge Dart's stick price is nearly $2,000 less than the Honda Civic's. Compare the top Dart Limited to the Civic EX-L with Navigation, and the Dart is still almost $1500 less, plus it comes with more features and a much bigger touchscreen interface for its navigation and secondary controls. 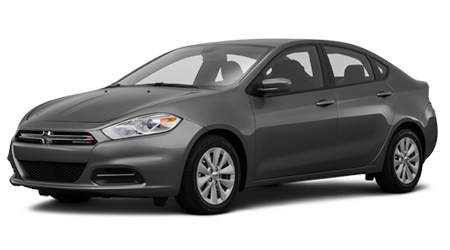 For a car with premium style and power at an economical price, the 2015 Dodge Dart is the answer. Visit Cutter CDJR in Honolulu, HI to test drive one today and see for yourself.